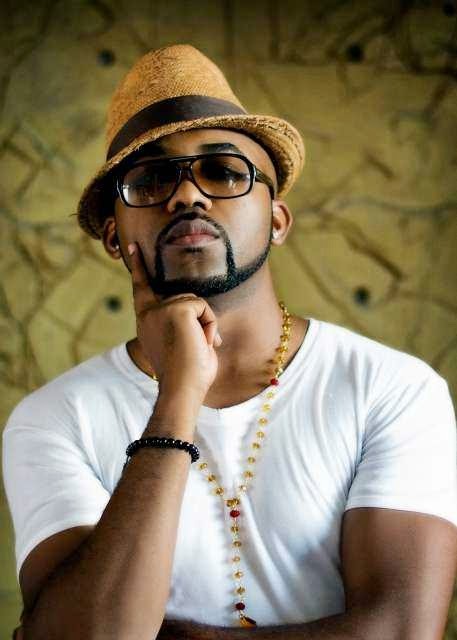 EME boss Banky W has expressed his sadness on not making M.I's latest album The Chairman. Banky who is a close associate of M.I revealed this on Thursday, October 30 2014 via his Instagram page while congratulating him on the release of his new album. "Bigups to my favourite rapper on the continent, MI Abaga on the release of his album. Thank u for continuing to inspire me. Sad that I didn't get to be on the album, but proud of U, inspired by ur work and wishing u nothing but the best always. Yall make sure u cop this classic" read the caption below the artwork of Chairman he posted on Instagram. No forget say Banky W and M.I been don been dey nominated as next rated in 2008 for the headies award and for 2010 then been do one song together. In the meantime, Bukina Faso's army chief Nabere Honore Traore has taken over power and has instituted a transitional body that would conduct elections for the seat of the president in the next 90 days. Na wa to African politicans and their love for power. How one person go dey rule for 27 years? Na him papa get the country? In a sad twist of fate, a 68 year old dad-of-three was killed in car crash on the same say he had unknowingly got cleared of his four year battle with cancer. Jonno Miller who was hailed as a "miracle man" by doctors for defying the terminal disease in his liver, moved to another state because he didn't want his children to watch him die .. 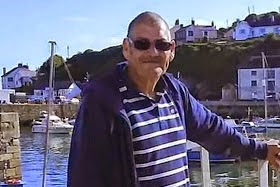 According to Mirror UK,after the grueling treatments, was tragically killed last week on his way home, when a lorry smashed into his car near Cornwall. This world na strange place. As cancer no get the mann devil use accident. I just pity the wife. 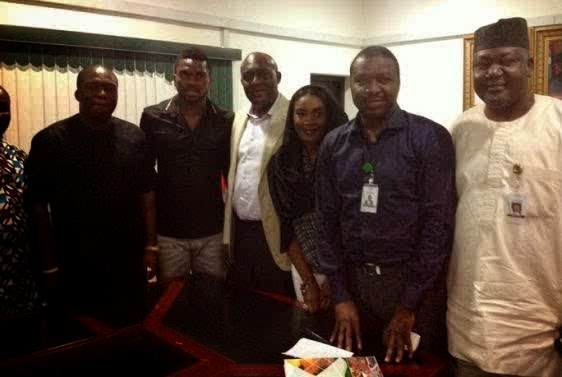 Former Super Eagles captain Joseph Yobo is the new ambassador of the PDP Ward 2 Ward Initiative. He is pictured above with other members of the group while on a courtesy call on the National Publicity Secretary of the PDP, Olisa Metuh on Wednesday October 29. 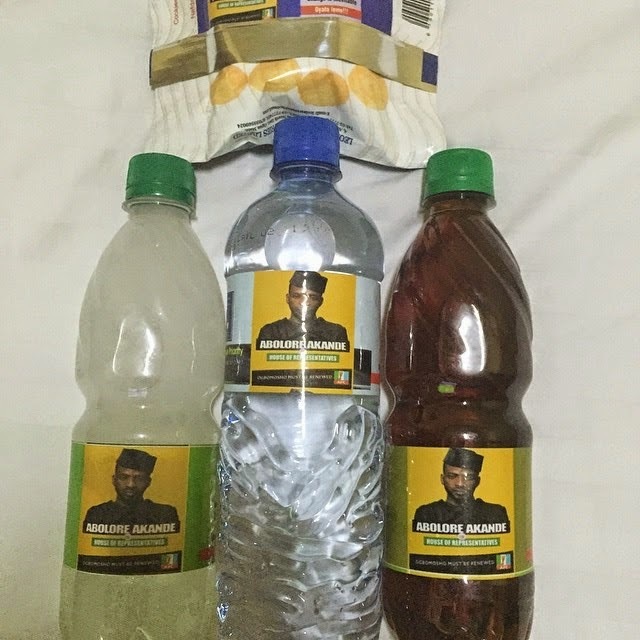 Soon now we go hear say Yobo sef wan contest for Governor. E be like say Politics don be d next hammer for Naija. 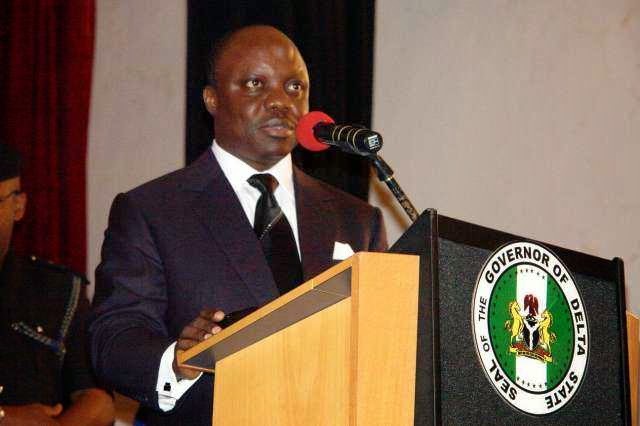 Uduaghan has expressed his intention to run in the 2015 Delta South Senatorial elections. Uduaghan submitted his Expression of Interest and Nomination forms on Thursday, October 30, at the Peoples Democratic Party (PDP) State Headquarters in Asaba. 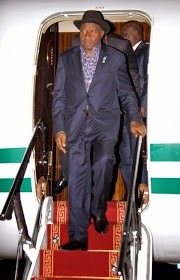 "History is in the making and I have to heed the calls of my people who have severally urged me to go to the Senate after my tenure as Governor of Delta State. I will not disappoint them." "I will, by the grace of God give my senatorial zone quality representation. I also want to appreciate President Goodluck Jonathan and assure him that I will put all my National and International reach at his disposal." Na wa o. Him never tire, after 8 years as Governor him wan still go senate. I hope say him go do well o.
turned out that her wounds had already become infected. leave her nyash as e be. president in Africa since apartheid. black nation. There is God o.
another person. Politics no be beans o.
I'm sure most of you are familiar with this case...but let me give you a bit of the background. In 2010, newlywed British national Shrien Dewani and his 28 year old wife Anni Dewani were in South Africa for their honeymoon and while riding in a taxi in Cape Town on Nov. 13th, Anni was shot dead by two men who hijacked the taxi. The men involved in the murder were later caught and they shockingly confessed that the new husband had hired them to attack them in the car and kill his wife. The wealthy businessman who had since left South Africa back to the UK, was extradited back to South Africa to face murder charges. Of course Shrien denied having a hand in his wife's death but today a footage of him handing money to the hitman he allegedly hired to kill his bride, taxi driver, Zola Tongo, who is serving 18 years in prison for his role, was played at his murder trial. The poor woman didn't know her husband was planning to have her murdered. But some source talk say Shrien Dewani been kill him wife because him be gay and him no want make any wife mata tie am down. One of him gay partners even testify say na true. 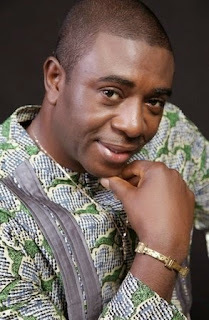 It's no longer news that a lot of Nigerian entertainers have gone into politics, what some of you may not know is that actor Bob Manuel Udokwu and Tony One Week Muonagor are both contesting for Idemili North constituency in Anambra ‎State House of Assembly. Tony One Week is from Ugamuma village Obosi and is a member of ACN while Bob Manuel Udokwu who is from Ogidi in the same state, is a member of APGA. The competition between them is going on strong. Well, make we dey see who go win. As these no be ultimate search wey Bob dey control people or as if this na music wey Tonyoneweek go dey sing. 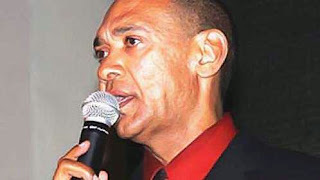 The Chairman of the Silverbird Group, Mr. Ben Murray-Bruce has declared his intention to contest the 2015 Senatorial elections. 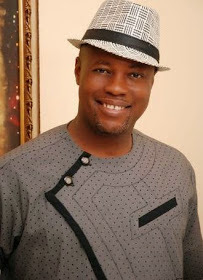 Mr. Murray-Bruce is seeking to represent Bayelsa East Senatorial District in the National Assembly. The former Director General of the Nigerian Television Authority (NTA) is expected to contest on the platform of the Peoples Democratic Party (PDP). "I am running for the Senate because I am interested in the laws of our land; I am interested in making change and I am not interested in business as usual. "I have always been concerned about the poverty of the mind, about women who are not being protected, children who are being r***d, men who are paedophiles, a society where there is no order; we must bring order to our society. "There are too many poor people living under the bridge. Nigeria is too rich for people to be poor and Nigeria is too poor for the super upper class to be so rich. That has to stop." The Silverbird boss sought to contest the 2011 governorship elections, also on the platform of the PDP, but was disqualified by the party. He will compete with Dr. Daru Owei, a former General Manager of the Nigerian Agip Oil Company, to win the PDP ticket. These na the kind leaders wey we need for Naija. 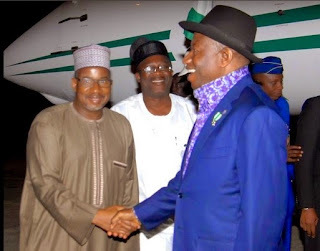 I hope say PDP give am ticket as him go work well if him enter. Recall that 27-year-old student of the Rivers State College of Health Science and Technology, Gladys Ebube Essien-Garricks who won the MTN Ultimate Wonder "Win An Aeroplane" Promo, see how she's spending her money. I had to quit, I couldn't go back to complete my studies because the whole winning incident made me popular in school, everyone would point at me, try to be friends with me and all….. I was known all over which the school and I had to leave for security reasons, I didn't feel safe. I let it breath fresh air in the bank, then I bought lots of land…I didn't acquire houses or cars because that is not the main thing for now, moreover I'm not available to look over them so I settled for lands, it's a safer investment. I would acquire the other properties with time. But MTN sef, so na 64 million be prize of plane abi? But the girl life don change cha. Her boyfriend don hammer o.
WIZKID SPEAKS; "I DON'T GIVE A DAMN IF PEOPLE THINK AM ARROGANT"
In a new interview with Encomium magazine, Wizkid said he doesn't care if people think he is arrogant, that he doesn't love everybody and so doesn't expect everybody to love him. "Bother me? Never! I am not bothered. Honestly I don't hear people saying it because anytime I go out, I show my fans great love. I do my thing. I don't have problem with that because I don't love everybody as well. So I don't expect everybody to love me too. That's life"
"Terrible? Everyone has opinion about people. But when they say Wizkid is terrible, you need to ask them, "Why is Wizkid a terrible person? What did he do? For four years, I was making music with Samklef, everyone knew his house. I was going up and down, shouting, Samklef Nor Ni. That's me, I am just trying to be a good person. Whereas everyone cannot like you and everyone cannot hate you" he said. "No, fame has not changed Wizkid. The only thing fame has changed in Wizkid is that I added some accessories. 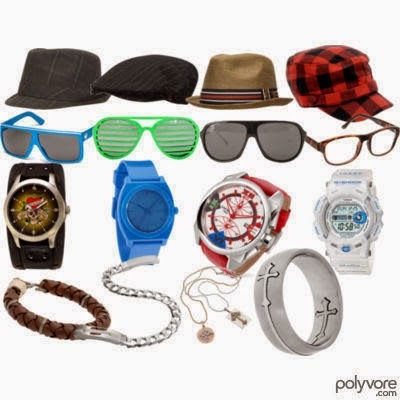 I have got nice chains, watches, and nice clothes. 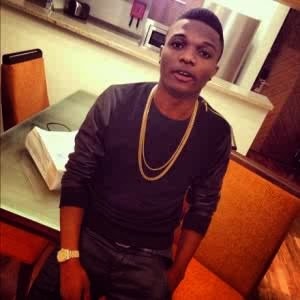 Asides that, I am still Wizkid. I no tall, still same height"
"Oh really? She's bitter about it. I didn't see the allegation but I gave her hit song. I no try? I did my part. I was in the studio with her, gave her hit song. I no try. That's not even how much I charge for collaboration, I charge N10 million. I collected N1.5 million from her because of love. I was busy, I didn't want to do it" he said. "Yeah I don't charge people I love. I said so but when someone is on your neck everyday for a collaboration and she offers you money, won't you collect it? If you fail to collect it, they start calling you terrible person. I am just trying to be a good guy"
"Fresh! Am I not looking fresh? I have always loved chains a lot. For me, I also see chains as investment because they ar gold and diamond. You can always sell anything gold and diamond. It is like an investment for me". "Expecting wetin? Did I tell you I am expecting a child? 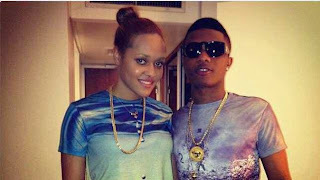 Yes I didn't tell you guys when I was expecting my first child because people wanted to kill me but Honestly, nothing like that I am not expecting any child now"
Wizkid hissed and said "Wedding? No!" Wizkid na craze boy. So him dey fear to born another pikin and him dey run for marriage. Him no go marry? Well, I wish him luck. Dr. Bello Ahmed, the acting provost of the College of Education (Technical) in Zamfara State has been jailed for 5 years by a Zamfara State High Court for collecting double Duty Tour Allowance from the college for an official trip to attend a board meeting of the Joint Admissions and Matriculation Board, while also collecting an equal amount as DTA from JAMB, which includes sitting allowances, all totalling N385,000.00. 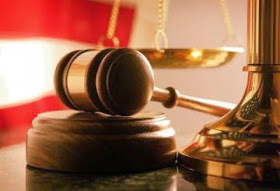 The Independent Corrupt Practices and Other Related Offences Commission who had arraigned Ahmed and warned public servants to desist from collecting double DTA from their agencies and also receiving or demanding same in cash or facilities. Na wa o. So na these small money carry these big man go jail. Him for just leave the mata be a free man. 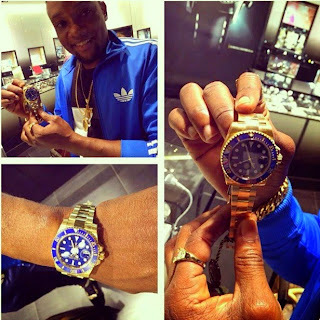 Rolex watches are the new craze for celebrities..The 'Fashion Icon' showed off his 24carat gold Rolex Oyster Perpetual Submariner.. It ranges from $16k up to $30k depending on the components and year. 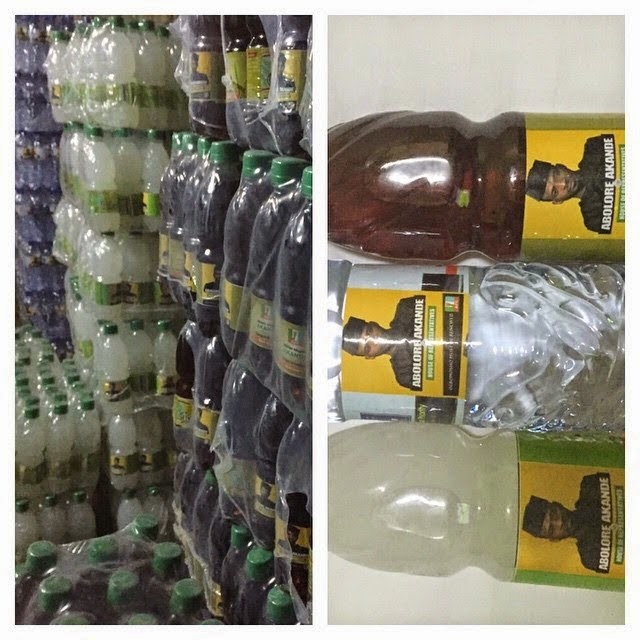 Well, Kcee really sabi spend money. The watch sharp sha. The President of the Senate of Nigeria and Senator for the Benue State constituency, David Mark, broke forth into tears as he accepted the 2015 Peoples Democratic Party nomination form from his constituents. Punch reports that the party nomination form was purchased by the nine local government council chairmen in Benue South Senatorial District (zone C) to bring Mark back as Senator for the 5th time at the National Assembly. It was presented at the state Secretariat of the Peoples Democratic Party in Makurdi, the state capital by the Minister of Interior, Comrade Patrick Abba-Moro, just as the declaration was done at Okurkpo the headquarters of Idoma nation. 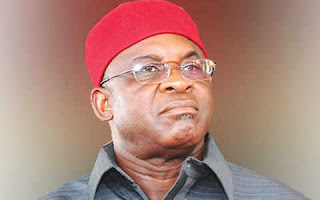 While accepting the nomination form at a crowded gathering in his Otukpo country home on Monday, Mark promised not to depart from the path of honour, justice and equity in the service to his country men and women. 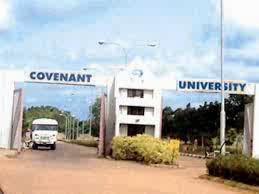 He said, "This is the covenant with my people. This endorsement speaks volume of the immeasurable responsibility on my shoulder by my people. Please pray for me that God gives me the grace, wisdom and courage to continue to serve to the glory of God and benefit to humanity." In his remarks, the Deputy Governor of Benue State, Chief Steve Lawani, said the endorsement of the Senate President was a confirmation of the position of the state government because of Mark's unprecedented achievement in the Senate. 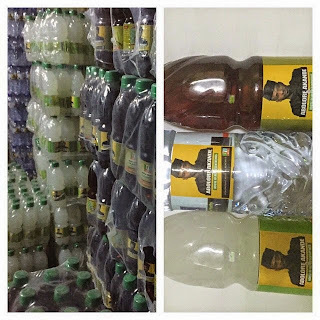 Hmmmm, politics na wa o. So na so them like David Mark for benue abi na only am dey. 20 years for senate? Na wa o.
Na wa o. See as private university wey be like secondary school dey occupy beta positions. Na wa to Naija education system o. "This happened just this afternoon. (don't ask me how I got the photos...hehe). 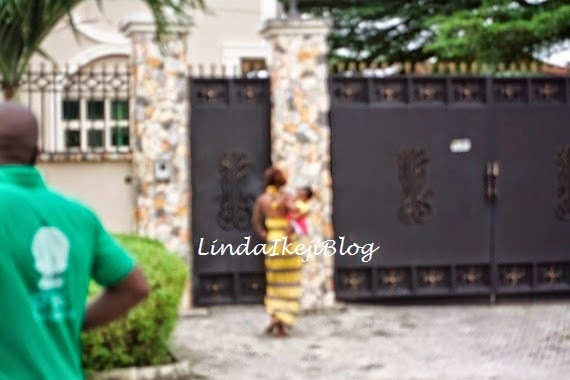 So D'banj's younger brother Kayswitch's baby mama, Meena Subramani, stormed his home in Lekki Phase1 this afternoon demanding to see him, but for some reason, the security guards wouldn't open the gates. 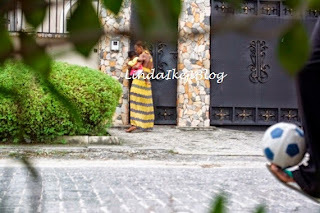 Meena, who got there by taxi and was carrying their 7 months old baby, started banging on the gate, shouting at security men and screaming that KaySwitch should come out and face her. She made a lot of allegations as she was screaming but I will leave that out for now. The house belongs to D'banj but he's currently not in Nigeria. Nobody came out of the house for the hour or so Meena was outside creating a scene. She has since left." Well, some kind people do try reach K-switch but him number no dey gree go. But the security men dey heartless o. Them for at least give her chair. Seven people, including a pregnant woman and a baby, were, weekend roasted to death, while five officials of Ogun State Traffic Compliance and Enforcement Agency TRACE, and an unspecified number of traffic police were injured by hoodlums at Kara, along Lagos/Ibadan expressway. 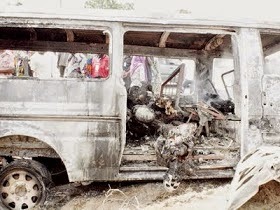 The accident, which involved an 18-seat bus, occurred at about 3.30pm as the vehicle, which took off in Lagos reportedly went up flames. Vanguard gathered that the commercial bus painted in white colour, with blue stripes suddenly developed leakages on the fuel tank, which spilled its contents. One of the passengers was said to have noticed a spark from the engine and raised the alarm which made the driver to stop abruptly in order to check the cause of the incident. Eye witnesses account said all the passengers scampered for safety as soon as the vehicle stopped but this was too late as the fire had made the vehicle's door to jam. Vanguard gathered that before help could come, seven of the passengers, including a pregnant woman and a baby, were burnt beyond recognition while eleven others sustained varying degrees of injuries. Some of the sympathisers were said to have put a call across to the fire fighters in Ogun State but none arrived the scene until the situation degenerated. Meanwhile, some TRACE officials were said to have rushed to the scene but were prevented from rendering any assistance as hoodlums descended on them, venting their anger. In the process, five officials, including the Akute Head of Operations, were assaulted. 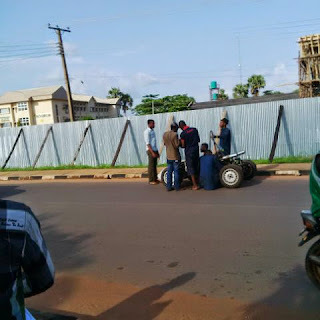 An eye witness said the traffic Police around the axis were not spared as many of them were injured by the hoodlums, although a distress call was later put across to both the Rapid Response Squad RRS, in Lagos and Quick Response Squad from Mowe axis, who eventually put the situation under control. Naija emergency system sef. Na wen mata don die down na him them show. Well, thank God say the hoodlums no kill any of them. Meanwhile, Fifa has also announced the names of the coaches who are in contention to scoop up the Coach of the Year award, with Carlo Ancelotti and Joachim Low as the favourites following their Champions League and World Cup success, respectively. Well, Suarez no dey the list and also Vidal dey missing. But I hear say Fifa go do special award for suarez teeth. Nick Cannon has donated his diamond-encrusted foot wear to the St Mary's Hospital for Children in Queens, New York. The shoes will be auctioned off at a later date and the hospital will keep all the money made from selling it. Nick says he's happy to donate the shoes "I want to keep this children's hospital going. It's one of the oldest children hospitals in New York. You got there and it puts everything into perspective. You see all that they are going through and that they can still have a smile on their faces. I get so much out of it. I'm glad to do this" Nick said. These na real great move him do. I no know say Nick Canon get beta mind like these. 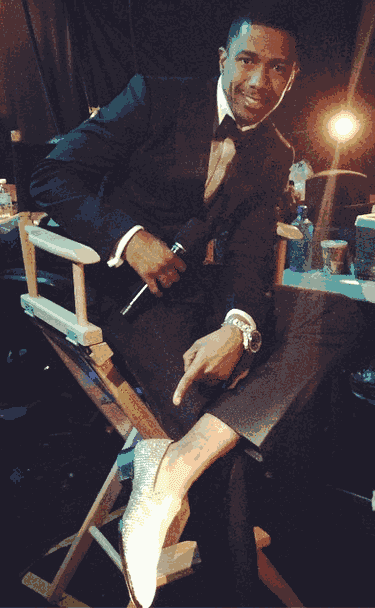 If celebs fit dey donate like this, these world for don change small. 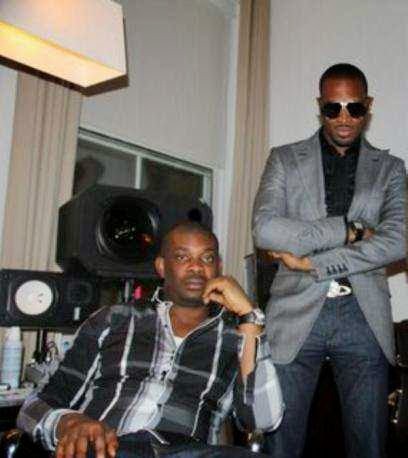 After a public split in 2012, it seems D'Banj and Don Jazzy will re-unite. The former partners will hook up once again in a music capacity. According to D'Banj, Don Jazzy's production will feature on his ten year anniversary album. Eja Nla made this known during an interview with BEAT FM. "Don Jazzy worked with me from the beginning, and I can tell you for sure that my 10th anniversary album will drop soon, and there are many producers on it including Don Jazzy." D'Banj and Don Jazzy were co-owners of the record label Mo' Hits. The imprint existed for 8 years and produced several chart topping singles and award winning albums including No Long Thing in 2005, and The Entertainer in 2008. Well, hope say these song wey them go do go be hit. Aat least that one fit make them come back. But these show say them don forget all their differences. A Police officer who served in the Nigeria Police Force for about 30 years has been rendered blind by a naval rating. The plan of ASP Emmanuel Mbilla(before/after above)was to retire in 2018 after which he would set up his own private security firm. However, Emmanuel's dream was cut short on February 22, 2014 after a life-changing encounter with a naval rating, Warrant officer Unaji Enejor, in the Kirikiri area of Lagos State. Punch reports that the 50-year-old victim was attacked in the eye by the naval rating, causing him to lose his sight completely.It was learnt that prior to the attack, Emmanuel's left eye had already been damaged by Glaucoma. The victim's landlady, Mrs. Olasumbo Agunbiade, who witnessed the incident, told our correspondent that trouble started after Enejor drove recklessly and rammed into Emmanuel's wife's shop. "I am the landlady of the property at 25, Agunbiade Street, Kirikiri Town, Apapa. Emmanuel's wife, Caroline, sells drinks right in front of the house. 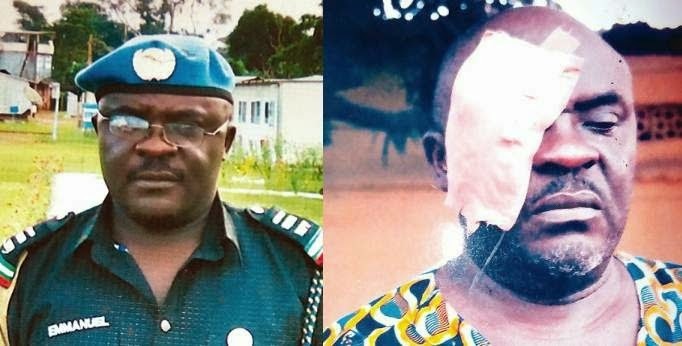 Around 3.30pm on February 22, Emmanuel and his wife were seated in front of the shop when a man in a red Honda car rammed into their shop.When Emmanuel accosted the driver, the man alighted from the vehicle and identified himself as a navy man and Emmanuel in turn, identified himself as a police officer. The man wanted to leave but Emmanuel told him that he could not leave without at least apologising and the navy man just used his car key to poke Emmanuel in the eye.Emmanuel fell to the floor and started screaming, 'I have lost my sight'. When the navy man saw the severity of the injury he had inflicted on Emmanuel, he jumped into his car and sped off. However, as residents were chasing him, he drove into a gutter and we arrested him." However, there was no respite for Emmanuel who was taken to about four hospitals where he was told that he may never see again. A medical report issued by the Eye Foundation Hospital and signed by Dr. Olufemi Oderinlo, the Consultant Opthalmic surgeon/Vitereoretinal specialist on March 3, stated that the victim would need to be flown abroad for treatment for any hope of regaining his sight. 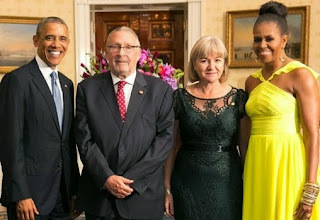 The victim's older wife, Patience, told Punch that life had been hard since her husband went blind.Patience said her husband, who is attached to the State Criminal Investigation Department, Yaba, required 24-hour monitoring and this had affected the family.She called on well-meaning Nigerians and the government to come to their aid. 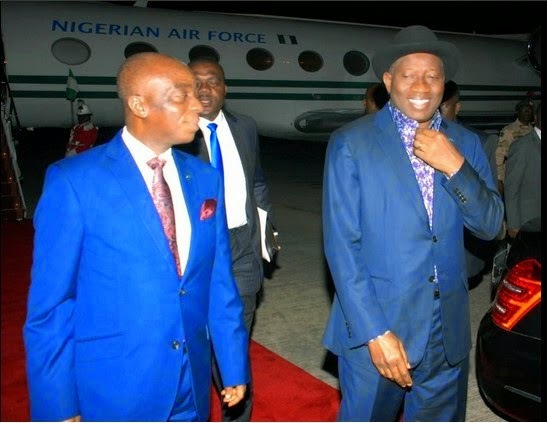 "I am asking Nigerians, the government, and especially that of Abia State to come to our aid. We are asking Senator Uche Chukwumerije, who represents Abia-North, to help us. We have been seriously affected and we have spent so much on my husband's treatment. Also, we are demanding for justice for my husband.The Commissioner of Police is aware of the matter. Nobody is above the law. My husband did not fight the navy man but is now completely blind as a result of a savage and brutal yet unprovoked attack. Unfortunately, he was released while my husband was still in the hospital." Na wa o. All these military people like to dey do as if na them strong pass. The Navy man no go show him power where Boka haram dey na to dey intimate people wey him pass. Maake government do something o. "Wizkid was caught smoking 'weed' inside the hotel in which smoking is prohibited. 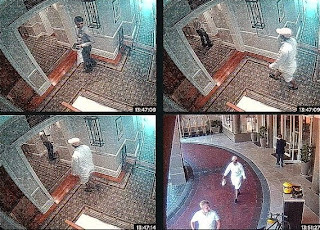 The hotel's Front Officer asked him why he was smoking before the two got into a heated argument attracting security officers who ended up calling the police to arrest him." So wizkid go loose guard for Kenya abi. Thank God say them no over beat am. I hear say Kenya police hand be like mik tyson own. needed to make it? When all you needed is within you? fail, don't listen to them. you have to do is to make good use of it. charming beauty. All your body parts are still function effectively. whatever problems you are facing. said, that if any man could make use of 1/4 of his brain in his lifetime, he would grow greater than any scientist that has ever lived? So why not make use of your brain! 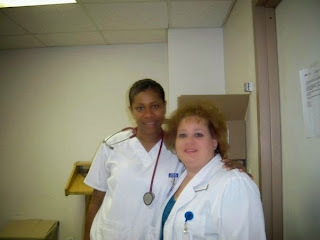 As a youth, you are still very strong, you still have enough strength and energy to start and finish any course. to remain a mediocre or shouldn't be successful. tomorrow's dream will be our doubt for today"
don't wait for what you don't have. RESOURCES that you have. You have to start something. Start today and dont be afraid of starting small. What you do now is the only influence that you have over your future. that you would have done now. one can make a good success until the conditions are just right. FROM YOU, UNLESS YOU LET THEM TO. Remember, that, "The future belongs to those who prepare for it today"
so, means that you will miss it"
All na wash. Well, make we see how him play the game. All I wish am na goodluck cos him go need plenty of am. Our president is back from Israel. Looks like he went to the holy land pray cos Nigeria problem too much. The use of motorcycles as commercial means of transport in Nigeria, popularly known as 'Okada' or 'Achaba' may soon be banned throughout the country. Punch reports that the proposal for the ban was made by the National Council on Transport after its annual conference in Enugu State and endorsed by the Minister of Transport, Sen. Idris Umar. secure transportation in Nigeria. It said the recommendation was contained in a statement of the week long meeting which had in attendance all the state commissioners of transport, permanent secretaries, directors and officials in the federal and state ministries of transport across the country. 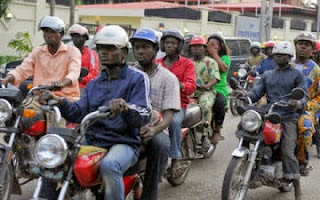 The council advised all states in the federation to henceforth discourage the use of commercial motorcycles as a means of public transportation. "All states and the Federal Capital Territory have therefore been advised to establish a public transport system that ensure strict regulation of the operation of public passenger transportation system through a well-articulated management system for enhanced safety, security, effective and efficient service delivery," the statement said. "The states are to also develop master plans for the development of intelligent transport system to facilitate the development and management of their transport operations in line with emerging trends and global best practices." The statement noted that the council also agreed that all commercial vehicles should be properly registered in each state while their enumeration should be carried out periodically to enhance safety and security. Na wa o. If them ban okada, how ordinary man wan take survive eh. Make them find another job opportunity or else crime go full everywhere. Former Nollywood actress, Regina Askia has joined the fight against Ebola in the United States. Well, these na brave thing wey she do o. Hope say she no go dey unlucky ctch the virus o. Big kudos to her. If you have ever wondered how real pretty EME first lady, Niyola got her coveted role in Banky W's music empire, here you have it. On an Instagram post BankyW put out this afternoon, here's how he says he met Niyola. You recall that Banky had also once confessed to having a huge crush on his lead female star. According to him, he used to have a huge crush on Niyola but didn't pursue her because she was in an on/off relationship then. When she eventually became single, he'd already signed her to his record label and had become more of a big brother to her. Hmmm, be like say the next time I go use toilet for event center, I go dey sing. 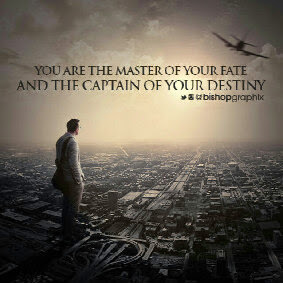 Only God know if may be P-Sauare or even JayZ fot pass hear my voice sign me o. THE WATCH- The time piece. It really looks bad when you have a guy in a great outfit only to be sabotaged by a bad looking watch or he's wearing none at all.. THE TIE- Be careful how you choose your ties,as it is important to avoid cheap looking ties because they will look horribly cheap even when you pair with an expensive shirt or suit. Buy the tie you can afford,but please do not settle for an awful material... Navy blue silk ties are my favorite.. THE WALLET- A wallet stores your I.D documents and the money you hustle so hard for and the best part is that you can get high quality wallets at affordable prices.. THE SOCKS- I know most guys don't fancy the idea but believe it or not,socks have been a timeless piece of mens fashion for decades.. The art of socks can be a bit complicated. You should wear your socks so the color compliments your shoe color.. THE CUFFLINKS- These lil'contraptions offer a professional look and people will know you mean business when you put them on..
That's all for this week folks. Keep living,stay trendy... Till next week. The general secretary of terrorist group, Boko haram who spoke in the Hausa service of the Voice of America VoA on Friday and monitored in Yola affirmed that the Chibok Girls would surely be released on Monday to the Chadian President, Idriss Derby for onward presentation to the Nigerian government. He also added that an enlarged meeting of the group has been fixed for the weekend to prepare ground for the Monday meeting with the Federal government, affirming that the final ceasefire and the release of the Chibok girls are promises that will surely be fulfilled by the group. 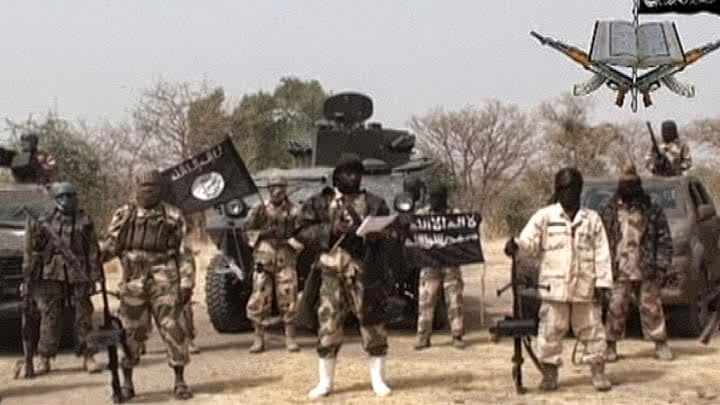 Mallam Danladi Ahmadu, the self acclaimed Secretary General of Islamist sect Boko Haram has disclosed that the final meeting between the group and the federal government to finally seal the ceasefire agreement would take place on Monday in Ndjamana, chad and would be supervised by the Chadian leader, Idris Derby. He also said that the group's cease fire agreement with the Federal Government is very much on course. 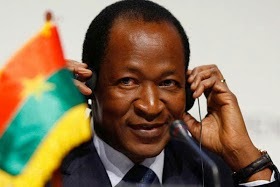 It was further disclosed to VoA by Ahmadu that the group and the Federal government were in close consultations over arrangements for the Monday meeting in Chad. The Secretary General while commenting on the latest kidnap of over 40 women and girls in the border villages between Adamawa and Borno states maintained that as far as the Boko Haram was concerned it wasn't aware of the latest kidnap and attacks. Make we dey wait till monday and pray say Boko haram people do as them talk. I just dey pity the girls, them go don suffer well well o. "I revere marital fidelity and I believe if every couple can work at consciously making their homes work, there will be less sorrow in the land. To emphasise his devotion to his family, the comedian said he would not allow his tight schedules come between him and his commitment to building a blissful marriage with his wife, Mabel. "The craziness of my schedule is indeed a challenge but it is my duty to make quality time for my wife and that is what I strive to do to keep the relationship continually fresh," he continued. Notable names in the entertainment industry have been mentioned as possible candidates for different political offices in 2015. 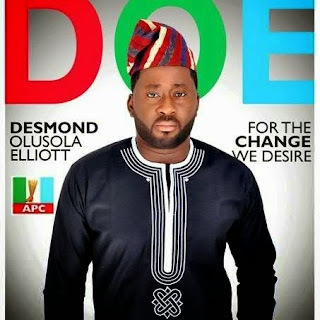 But AY said he would rather continue to fish in the entertainment industry than to 'deflect'. AY said he would be making mistakes to seek new opportunities in politics simply because fellow entertainers were going that way, describing it as a game it did not understand. 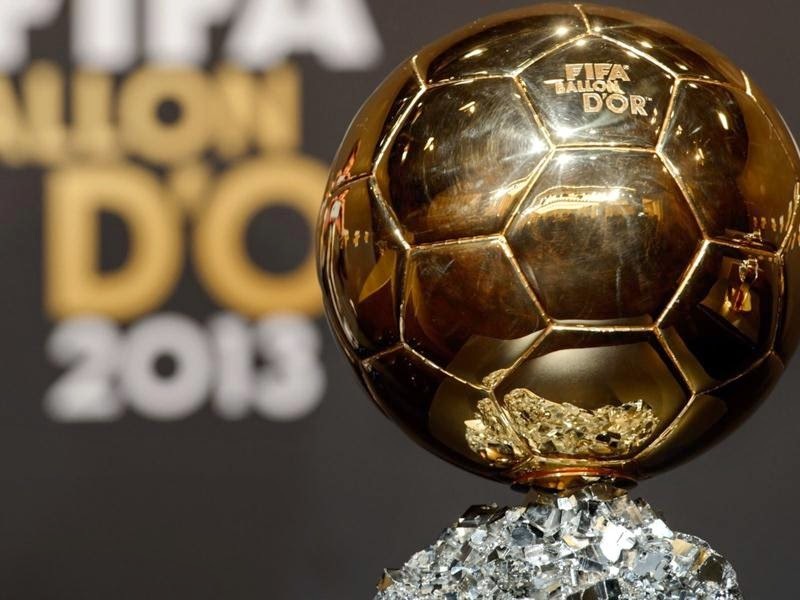 "I do not know how to play the game at the moment", he said to stress his resolve to stick to familiar turf. Well, him tlk well. Person suppose respect him marriage and do all he can to make am work cos na for beta or worse. AMBER ROSE TELLS WIZKHALIFA "I STILL LOVE YOU"
Amber Rose, 31, got one of the biggest birthday surprises ever when her estranged husband, Wiz Khalifa , 27, wished her a happy birthday on Twitter on Oct.t. 21. If she still love am, then why she wan divorce am. Oyibo people really dey confused. Looks like our university system is now attaining international standard. 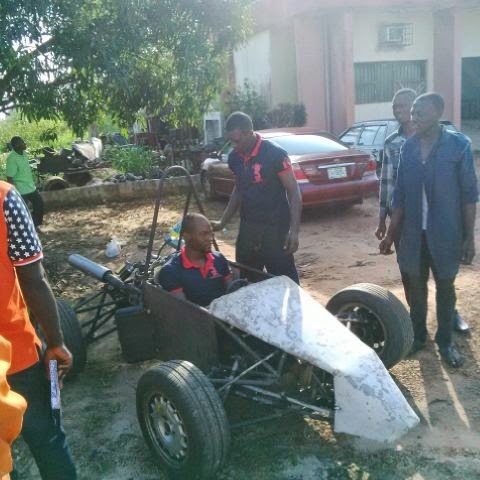 Four students of the just graduated 2013/2014 class of Mech. Eng. Of Unizik built a sports car as their final year project. Well, the car was test driven last week friday and to the glory of God, it didn't explode. 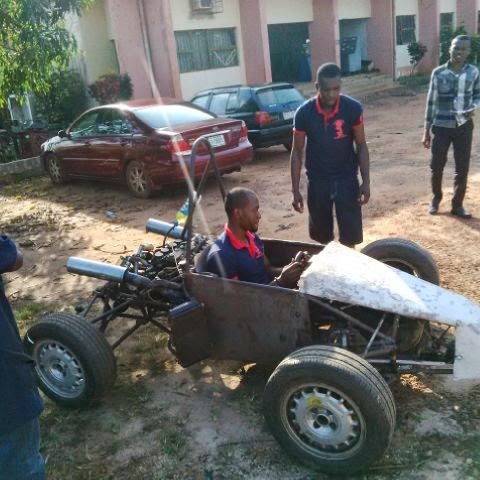 Innoson and Coscharies wey dey make cars, na una chance now to come employ these boys o. 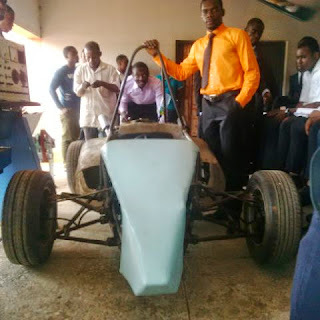 Them try for the car as at least, the car no sound like generator.